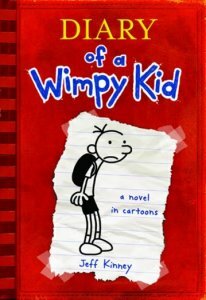 Life is a challenge for Greg Heffley. It used to be that he understood all the rules. Life made sense. The girls all liked the fastest boy in class. You knew where you stood. But now it's middle school and the rules have all changed. He's trying to be cool. He's trying to cope with his parents. He's trying to avoid the "cheese touch." This is a hilarious rendition of growing up through the mind of a middle school boy. It has enough pictures to make it work even for the most reluctant reader. I enjoyed this book, and the ending was really funny. I would recommend this book to other kids.